We are an onestop on line Business market place for your Financial & Growth (organic & inorganic) needs. We believe there exists a huge potential of untapped organic & inorganic growth & financing opportunities for YOU. Our endeavor is to bring these opportunities to you at a click of a button so that you achieve your strategic goals. How do we to do it? What value do we bring to you? As a Promoter/Decision maker, you know in today’s fast changing and Competing world, staying on top of the game is Critical. 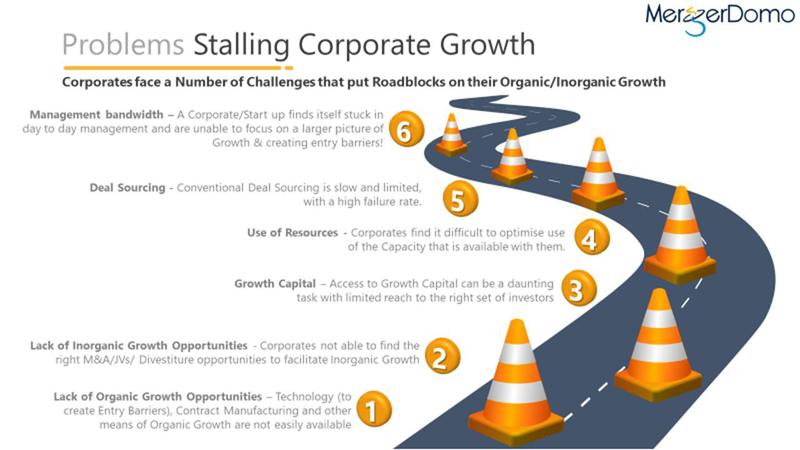 Sluggish topline, squeezing margins and limitedentry barriers are critical warning signs for any business. Below are the key problems that plague any Corporate. We will partner with you to offset these challenges by bringing in ourefficient & cost effective single window array of services. Additionally, our presence in Singapore and investor contacts across the world will help achieve your international ambitions. Help solve your Financial & Growth (organic & inorganic) challenges – We will handhold you for Strategy formulation (based on your Core Competencies) and converting it into achievable goals. You may need to go for organic growth such as introducing a new product for your existing customers or set up operations in a new location, to invest Capital. For such needs, we will help you raise appropriate funds to fuel this growth. You may be having idle capacity for which we will help you connect with foreign manufacturers/technology companies looking to get low cost contract manufacturing being done. With our presence in Singapore, we connect with Investors and Investment Bankers through out the world. Again this is to help you fuel your global ambitions! 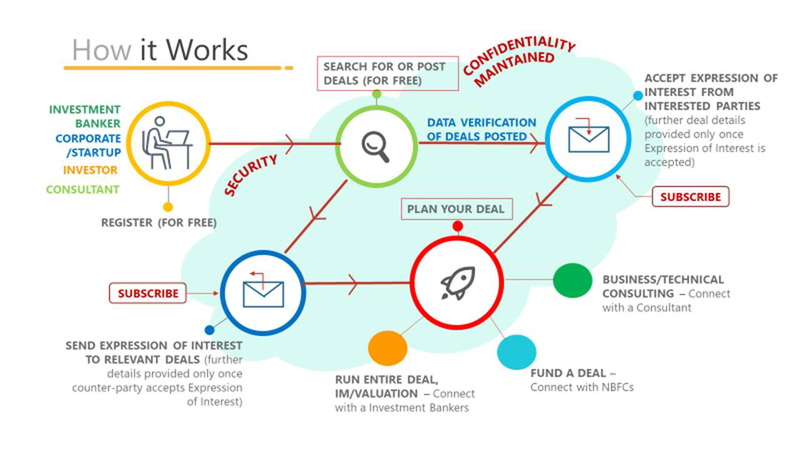 Deal sourcing has never been so easy! Traditional sourcing involves hiring an I Banker who would have limited reach especially if a foreign search is involved. 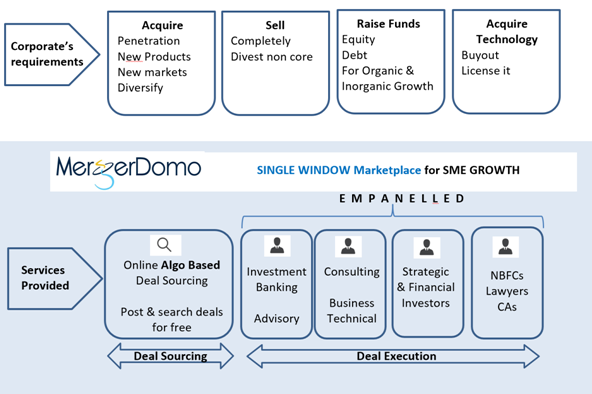 Multi deal analytics at one go!